It's no secret that we're big on coffee, and we must have it everyday. Having said that, I just love the versatility of the Keurig 2.0 K560 coffee machine. You don't have the hassle of making a whole pot of coffee if you just want a single serving of 1 cup. That and it allows you and your guests to pick and choose the particular flavor of coffee. You can choose from a whole variety of Kcup flavors. What's also great about this bundle from Costco is that you also get the Keurig Carafe which does allow you to make a whole pot of coffee for a party. 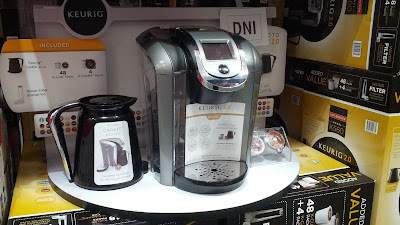 The Keurig 2.0 K560 has the capability of making single cups or a several cups of coffee using the included carafe which the Nespresso machines do not have and it even had Kcups for tea as well if you love drinking tea. You could even save yourself some money by getting Starbucks and Peet's kcups instead of going there for a cup of coffee. 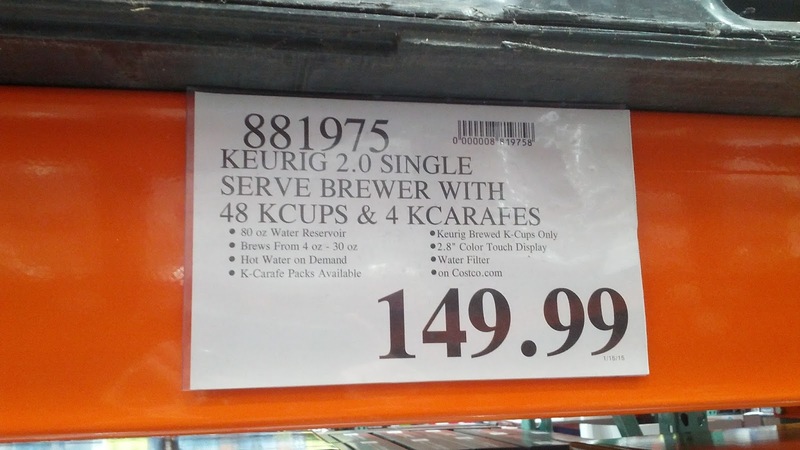 The Keurig 2.0 K560 comes with a carafe to make several cups of coffee at once. 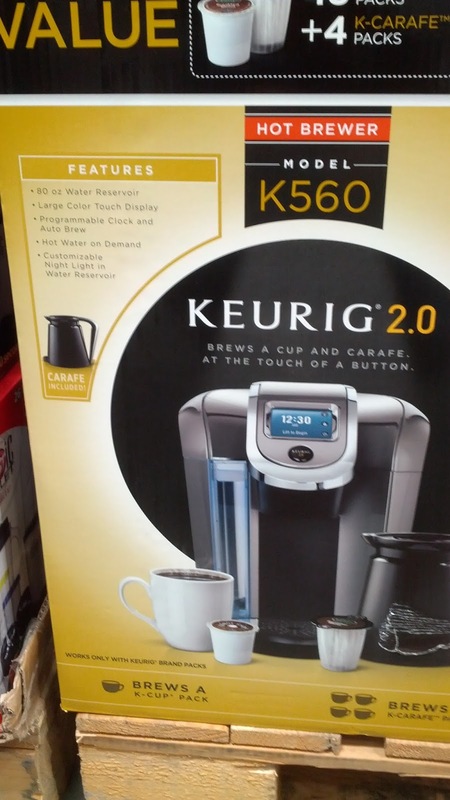 Replace your old coffee maker with the single serve Keurig 2.0 K560 coffee machine. The Kuerig 2.0 K560 coffee machine makes it quick and easy to make a up of coffee in the morning. Brews a cup and carafe. At the touch of a button. Choose from over 40 brands and 250+ varieties. Your new Keurig 2.0 brewer isn't just simple, it's also super smart. 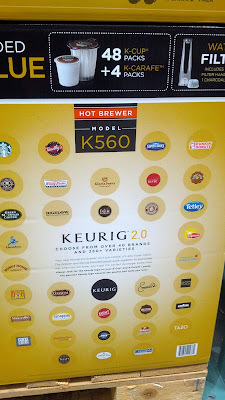 The brewer and Keurig branded packs work together to guarantee that when you hit brew, you'll get the perfect beverage. Every time. Choose form a variety of Kcup flavors for the Keurig 2.0 K560. 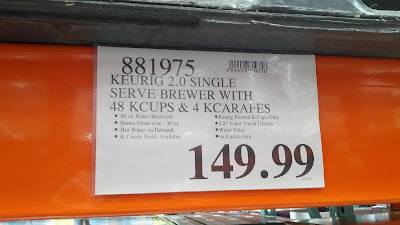 Hello @Anonymous, thank you for letting us know that the Keurig 2.0 560 is on sale for May. I believe the deal is advertised in the May 2015 Costco Coupon Book where it's an additional $25 off. That price is good thru May 31, 2015.